Woman Is Wrapping Hands With Green Boxing Wraps. Isolated On.. Stock Photo, Picture And Royalty Free Image. Image 53997457. 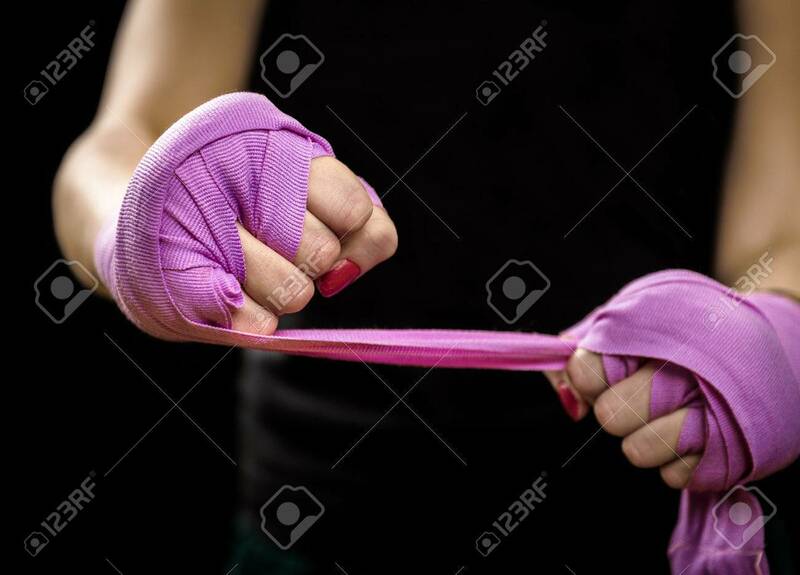 Stock Photo - Woman is wrapping hands with green boxing wraps. Isolated on black with red nails. Strong hand and fist, ready for fight and active exercise. Women self defense.